Be the first to share your favorite memory, photo or story of Wanda. This memorial page is dedicated for family, friends and future generations to celebrate the life of their loved one. them days before her passing. deeply and strive to honor her memory and impact throughout their lifetimes. Wanda is survived by beloved siblings, children, grandchildren, great-grandchildren, and nieces many of whom she was like a second mother. Wanda’s name to The Idaho Foodbank or Salvation Army Boise Corps. Condolences may be expressed at ZeyerFuneralChapel.com. Celebration of Life from 5:00 to 8:00 p.m. at Ste. Chapelle Winery, 19348 Lowell RD, in Caldwell. 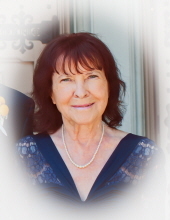 "Email Address" would like to share the life celebration of Wanda Lee Salek. Click on the "link" to go to share a favorite memory or leave a condolence message for the family.